"It’s almost as if they came on a day trip." 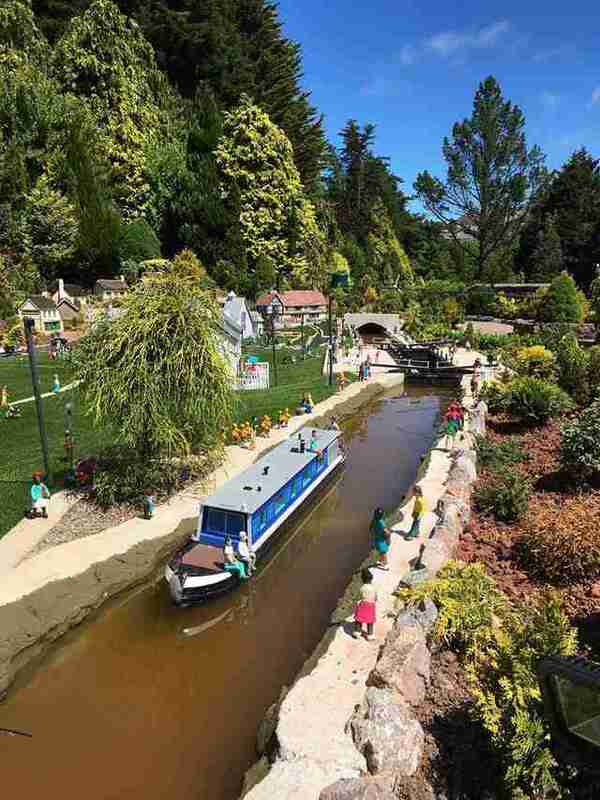 This cozy village in England has everything you might expect from a scenic little town — quaint cottages, colorful flower gardens, quiet waterways and a homey sense of calm and comfort. But there is one thing that makes it slightly out of the ordinary for a British countryside retreat. 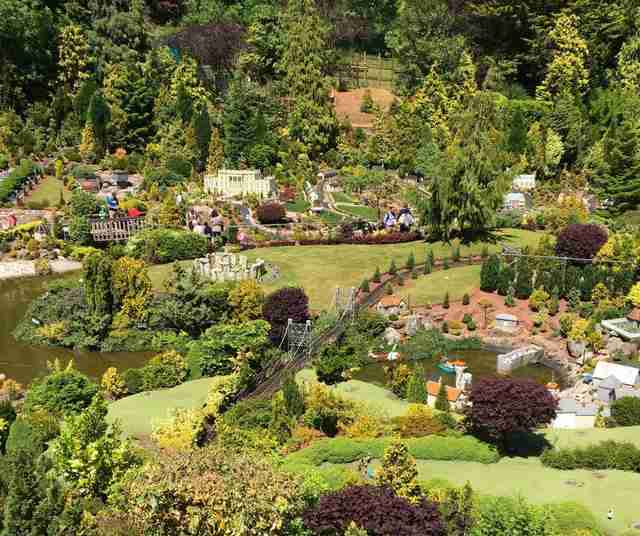 Babbacombe Model Village, as it's known, is a popular tourist spot in the city of Torquay. There, visitors are transported into that idyllically peaceful little world laid out with tiny buildings, roads and residents. 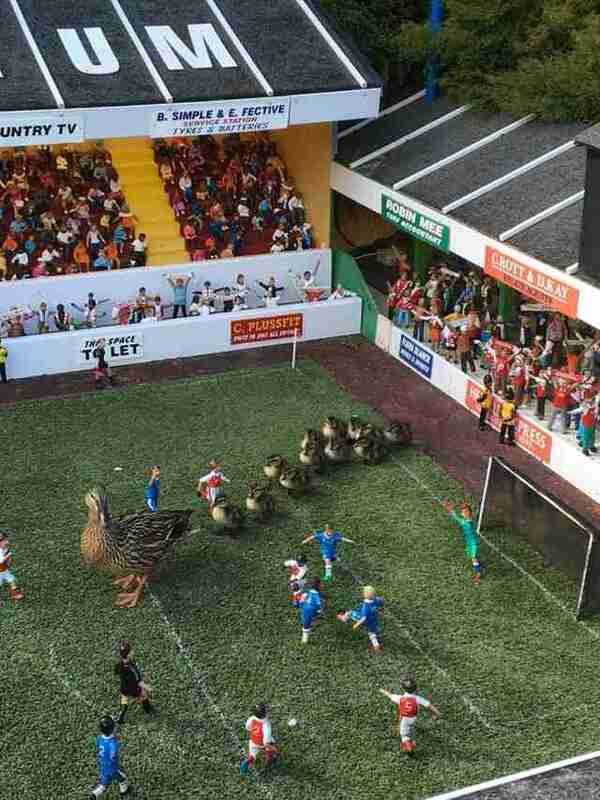 Recently, however, a group of feathered giants threw everything a bit out of scale. 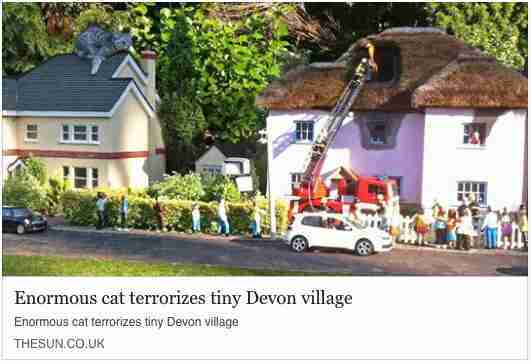 The tiny townspeople didn't see it coming. The giants, of course, were just a family of normal-sized ducks dropping in for a surprise visit. 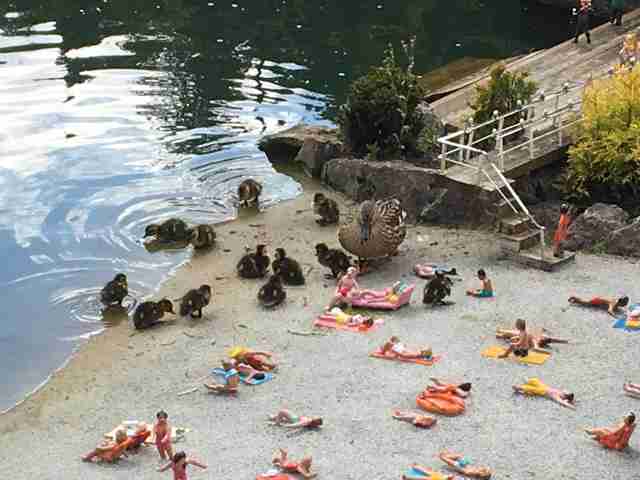 "I'm not sure if they hatched in the Model Village, but nobody had seen them before Sunday," Mike Rhodes, deputy manager at Babbacombe, told The Dodo. "They spent the day with us, wandering around the gardens, football stadium and the beach — then disappeared by Monday. It’s almost as if they came on a day trip." 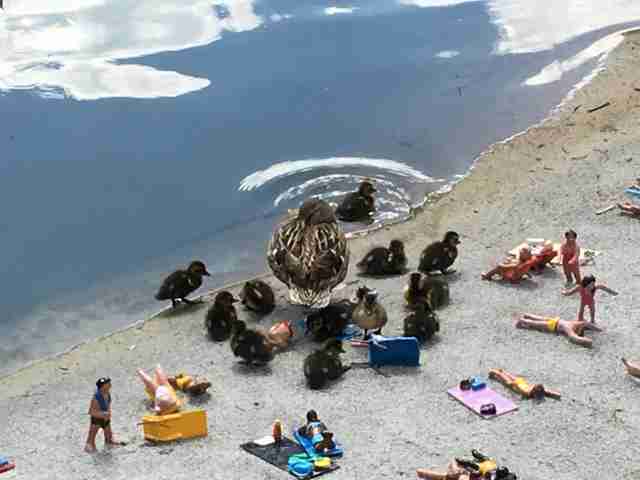 Fortunately, despite their relatively enormous size, the ducks didn’t wreak the havoc one might suspect. “They were very good and didn’t break (or quack) anything,” Rhodes said. 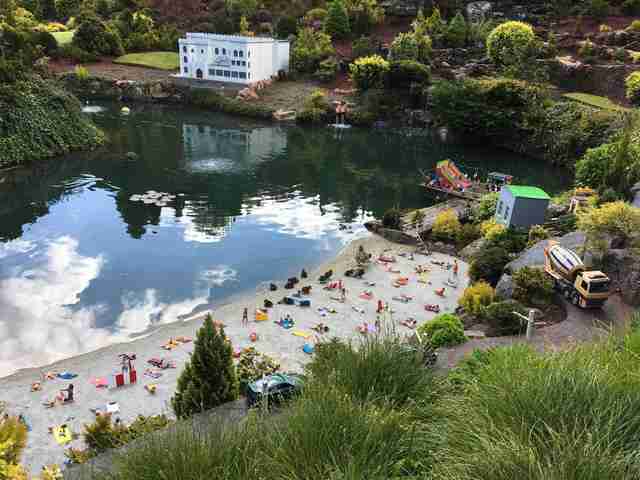 Interestingly, this isn't the first time an animal behemoth has arrived to Babbacombe Model Village. As it turns out, a gray cat has been known to prowl the grounds of the miniature facility, relishing in the admiration of the tiny townsfolk. He even made the paper. Thankfully, the giant ducks who visited recently were much more magnanimous.